We like Superhero movies that have thrill, action and loads of inspiration and entertainment. There is Marvel Cinematic Universe, that is absolutely known for its amazing superhero movies, but guess what? No one’s perfect. 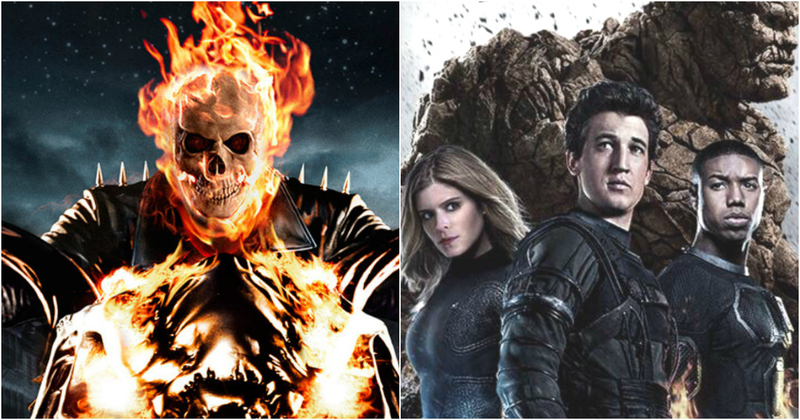 There have been some Marvel movies that have been rated the worst by Rotten Tomatoes. 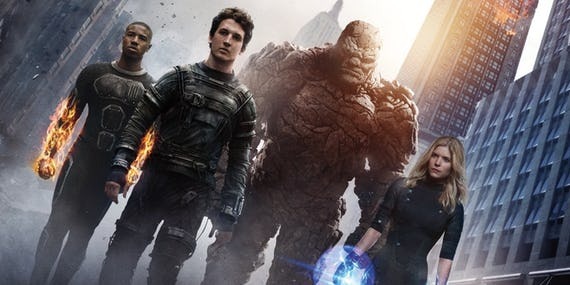 Scroll down to see 10 Worst Marvel Movies, ranked according to Rotten Tomatoes. This is the least rated movie of Marvel’s Universe, eight percent only. The movie had the potential, but couldn’t keep viewers intact. The plot dated back to World War II, where an American soldier tries to become a super soldier by experimenting. 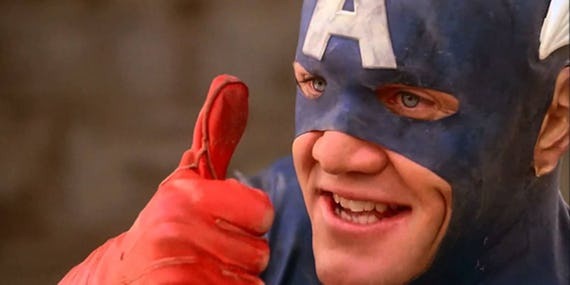 He then becomes Captain America. Due to the antagonist, Red Skull, he gets frozen until 1990, and when he wakes up, he tries to puncture the plans of the Red Skull. Many viewers liked the movie, but let’s say, most of us didn’t. The movie was all about things we couldn’t relate to, and so Rotten Tomatoes, has given the score that it has. The plot is about four youngsters, who gain tremendous power when they are teleported to some other universe. Then they unite to save the world from the villain, who is a computer mechanic but has transformed into an evil doctor. Starting Jennifer Garner, Elektra is among those Marvel movies which did not have a sequel because of it’s poor ratings and performance. The movie could not even gain a lot of attention. The plot is about Elektra, who is a warrior. She faces a life-threatening situation. After learning from that, she decides to work as an assassin. When she is given the job to kill an innocent man and his daughter for some unjustified reasons, she instead decided to protect them from danger. Directed by Willard Huyck, Howard the Duck was among the first Marvel movies and trust us, it did horrible. Howard the duck is an intelligent duck with arms and legs from Duckworld. He is beamed to Earth, where he drops in Cleveland. He saves rocker Beverly, from thugs and develops a friendship with her. Beverly introduces Howard to Phil, who’s a lab assistant to Dr Jenning. The doctor tries to send Howard back to Duckworld and in the process, he accidentally transfers an evil soul in his own body. 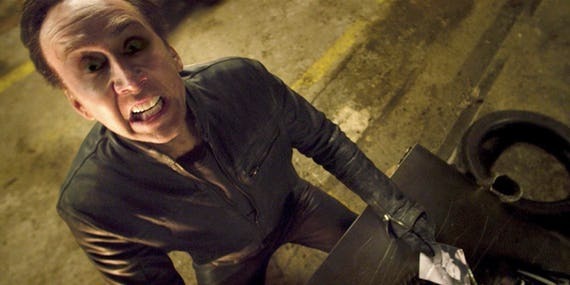 This series has Nicolas Cage as the lead actor and he has never failed to provide an excellent performance. The movie was directed by Mark Neveldine and Brian Taylor collectively. 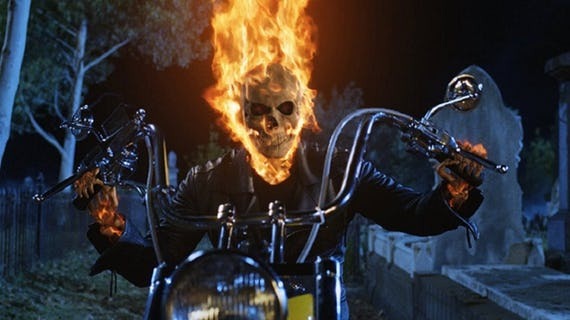 The plot shows a French priest seeking help the Ghost Rider, to save a young boy from the devils. In return, he is promised that he will get back Johnny’s soul. But in order to take this further, Johnny has to fight his own demons in the head. 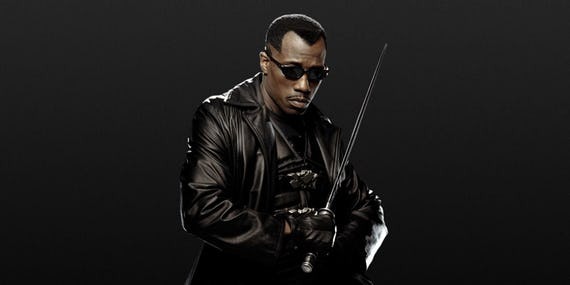 This is about Blade who fights the vampires solo. 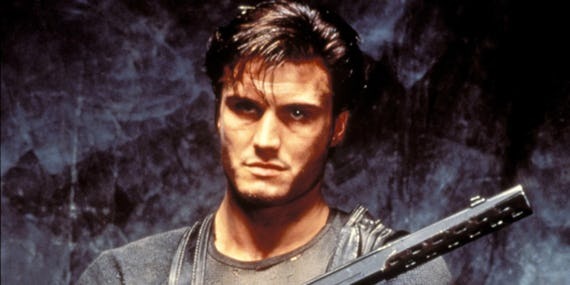 He then joins the Night Stalkers, who hunt vampires. But the task becomes extremely challenging when an invincible opponent, Dracula makes an entry. Mark Steven Johnson, the director of the movie, really made it entertaining. Nicolas Cage plays Johnny Blaze, a stunt motorcyclist, who decides to give up his soul, to defeat Blackheart, who is the son of the devil. Stretching the common plot all over again, when four astronauts gain extraordinary powers upon hit by a cosmic radiation. Their biggest challenge is to defeat Victor Von Doom, an evil doctor. 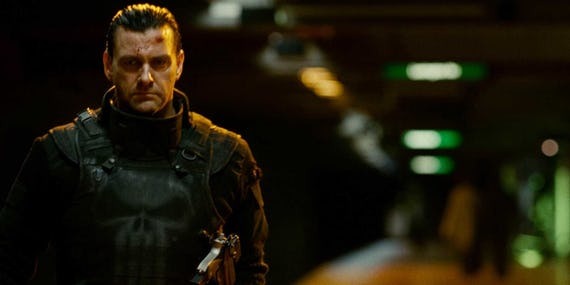 Showing Ray Stevenson in the main lead role, of the Punisher, who is a completely ruthless vigilant man, transformed when his parents were killed. Eventually, his biggest challenge is to stop Jigsaw, his nemesis, played by Dominic West. The Punisher is a movie under Mark Goldblatt. The movie is among the only movies by Frank Castle that did not do well in the audience. The Punisher is a mysterious man who was an ex-policeman, in the town, that he became after his family died of a hit.